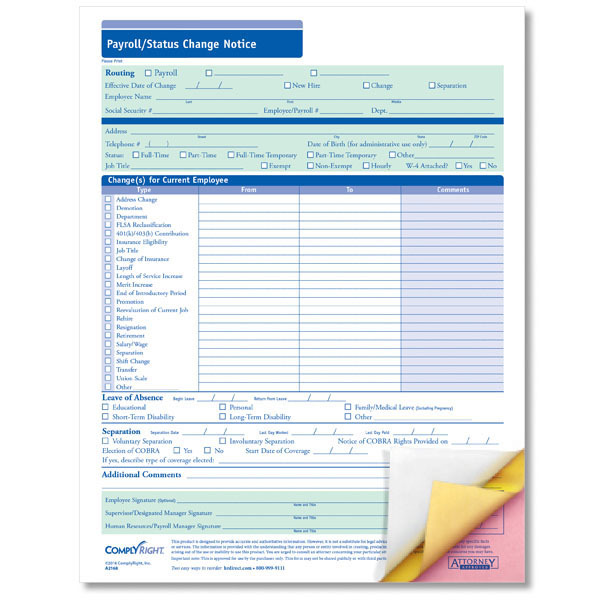 For payroll or employee status changes, one form does it all! The Payroll/Status Change Notice – 3-Part form gives you an effective tool for documenting job and salary changes and a convenient way to keep and route records. Along with transfers and promotions, this handy form covers new hire information, leave of absence and separation details.